Subject description: Addiction or Space Music Fuel? 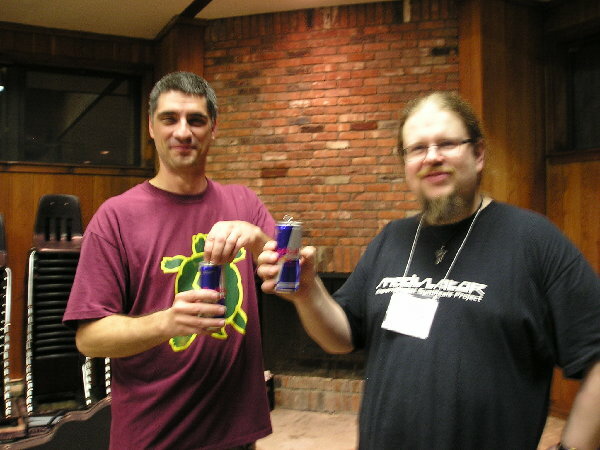 Shane and Jez enjoying some Red Bull... Caught in the act! How funny to wake up to this before work!!! For the record: I am not addicted to Red Bull. But do utilize their power for long weekends of Good Times! Can you see the wings already sprouting out of his back? I had a feeling you might not like the taste...Teresa hates them too. This morning I enjoyed a 32 ounce DUB Edition Monster soda with L-Carnitine, Taurine, Ginseng, and B Vitamins, mmmm! Yes, that's right, a 32 ounce can. Got me nice and awake. I find Monster sodas to be far more energizing than Red Bull. Subject description: could not resist ! Dan that was hilarious... I hadnt seen Brawndo before. 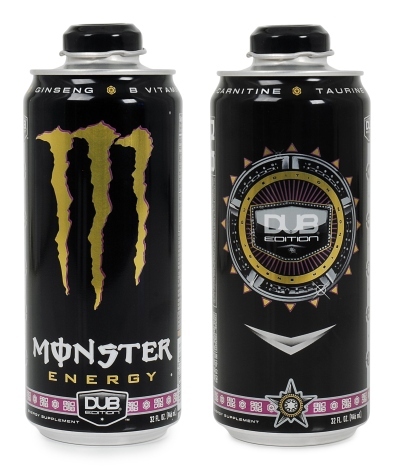 I told my bother that I got really wired on that Dub Edition Monster and he said that besides the size of it, they put different stuff in different cans. He's a truck driver and a mover, and therefore he knows about legal stimulants I guess. So to get maximum buzz you need to try them all out and see what works I guess. Hmmm, I kind of like that term: "Maximum Buzz"! Shane - it's from a movie called Idiocracy. enjoying myself a nice 24oz Monster now... they ARE good!